Telecom giant Airtel launched public Wi Fi hotspots to provide wireless internet connectivity for the user in Gurgaon. 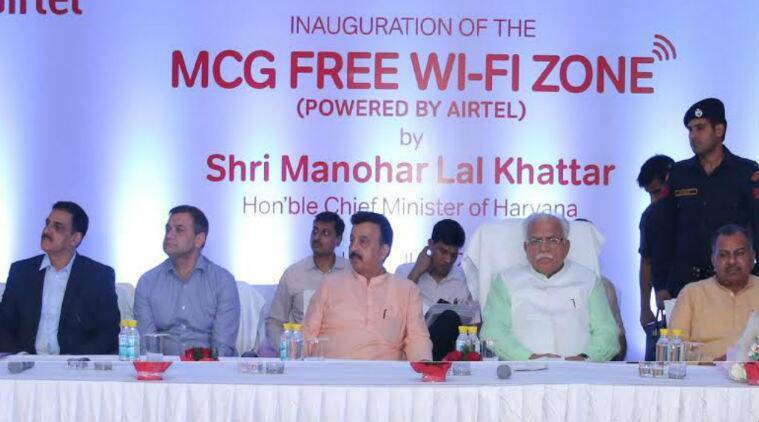 The service was launched by Haryana Chief Minister Manohar Lal Khattar on Sunday. People visiting MG Road, Sadar Bazaar, Sarhaul Village and Sector 29 market will be able to enjoy free Wi Fi internet sessions on their smart devices. Airtel said that the users will be able to enjoy 30 minutes of free service everyday per device. The free service is available to all the users with compatible devices. The launch event also saw the presence of Dhruv Bhagat, the CEO of Bharti Airtel who expressed that they are happy to partner with the Gurgaon Administration and enable the citizens in the Millennium City to experience world class internet services.